The Corral Rechargeable Battery Units are portable and easy to use. They can also be run on large 12V rechargeable batteries. Available in various sizes, each with a 3 year guarantee. 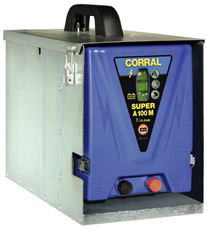 There are currently no questions for Corral Rechargable Battery Unit - be the first to ask one!